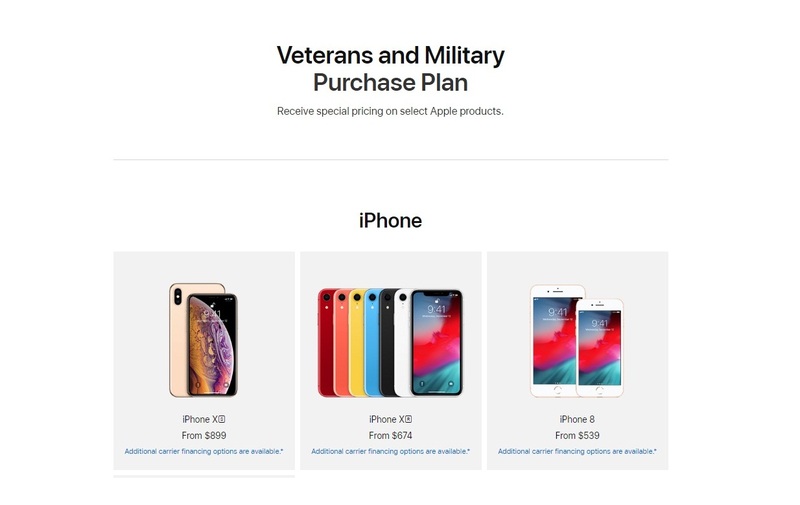 Apple launched its first online store for all active military forces and veterans with a special pricing on the selected products. The Veterans and Military Purchase Plan program is exclusively for US Military, National Guard and Reserve. The new program is also offered to their immediate families that are also residing in their same household. It is made for personal use only. The online shop has a current lineup of iPhone, Mac, Apple Watch, iPad, Music and TV, and Accessories which include Airpods, case, sport band, and more. The discount scope includes the hardware, software, speakers, and accessories.